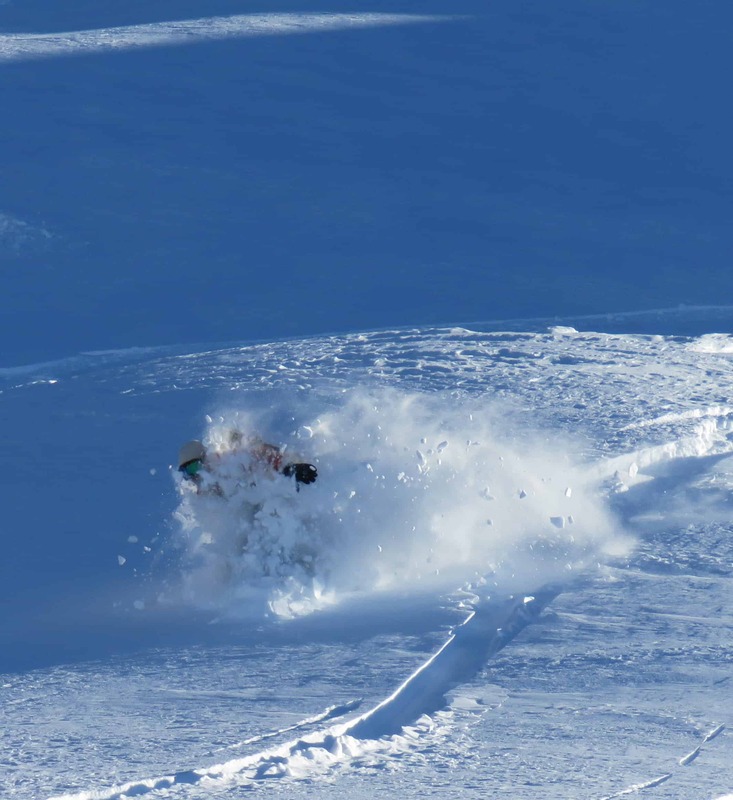 There have been some pretty epic heliski days this year with regular storms followed by fine weather. 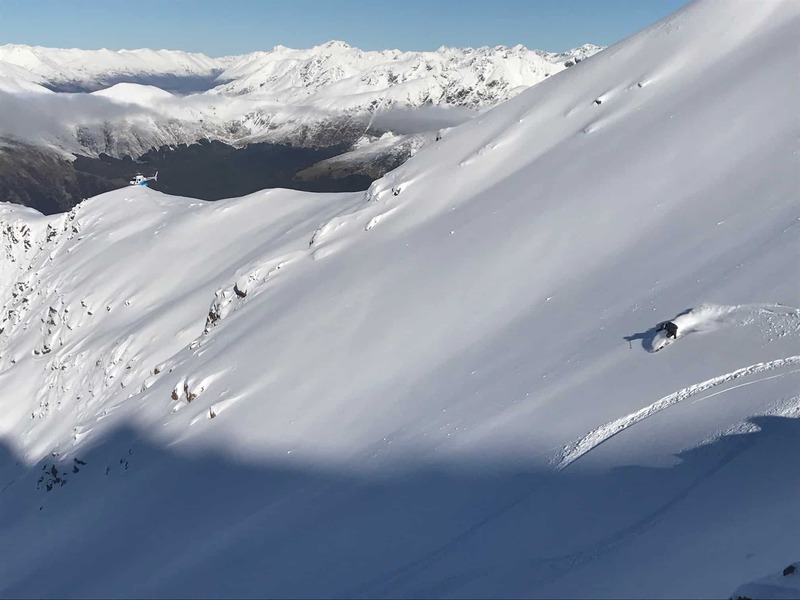 New Zealand has been getting plenty of quality snow this winter and while the in-resort skiing has been consistently good, it is fair to say the heliskiing in the Southern Alps has been consistently sensational. Many of the storms have been followed by a run of fine weather, perfect for shredding the mountains in the Southern Lakes backcountry. 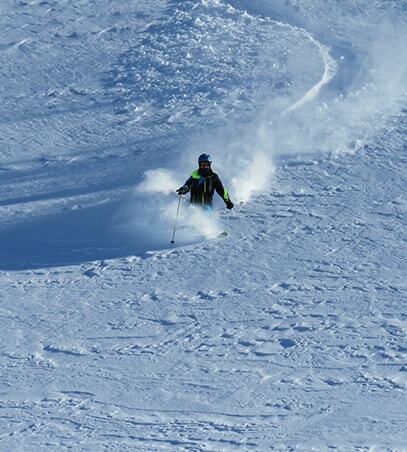 A skier enjoying some silky dry powder on a recent trip. While most of us dream of a day (or 10) heliskiing, it is something that some people find intimidating or think is too expensive. 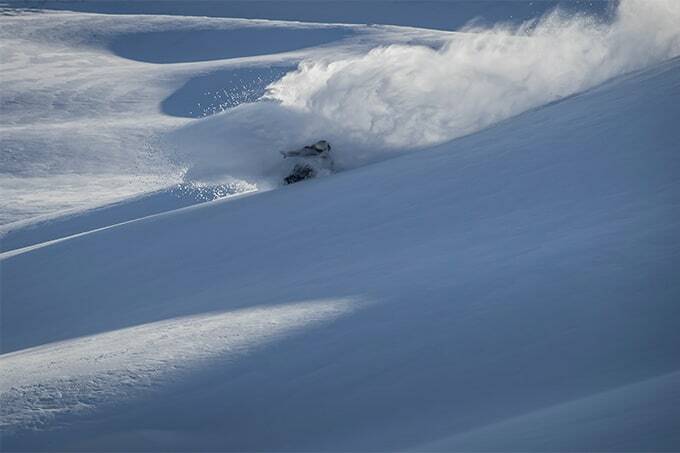 However, Southern Lakes Heliski has some affordable options, either day charters or private charters for up to 10 people where you’ll have 12 runs with an average cost per run of $185. 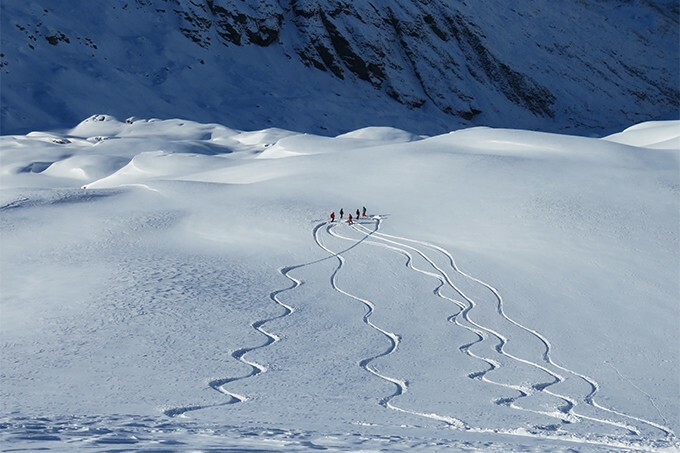 Once you’ve decided to tick it off your bucket list, what can you expect from a day’s heliskiing with Southern Lakes – other than a day you’ll never forget? There was plenty of “Woohooing”, from the guests on this trip a few weeks ago. 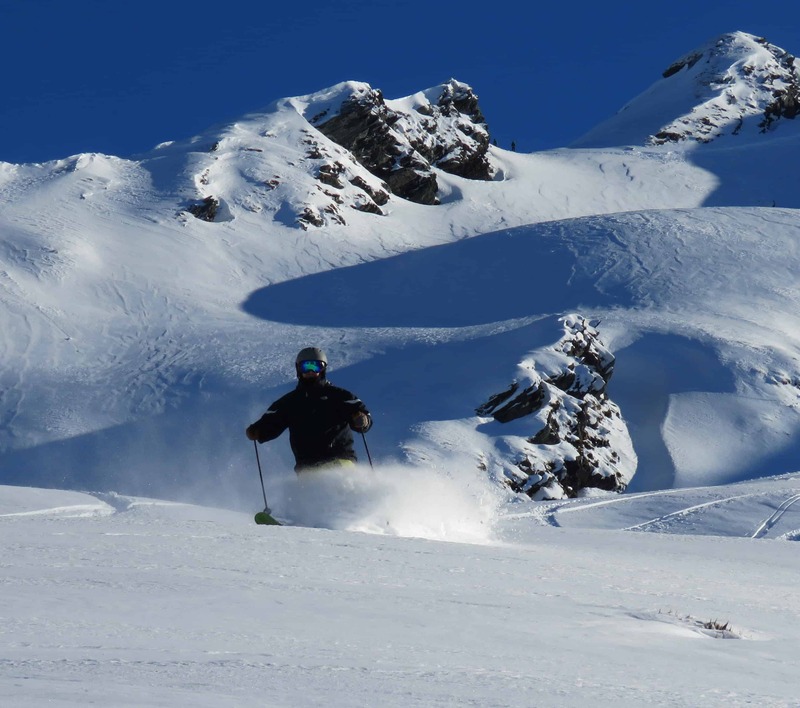 Southern Lakes Heliski run charters out of Queenstown and Wanaka and have access to a huge amount of terrain, the biggest of any heli operator in the southern alps with over 600 runs spread across 11 different mountain ranges. The untouched backcountry features wide-open bowls, steep chutes, roll overs and natural half pipes, so there’s plenty of fun to be had for everyone. 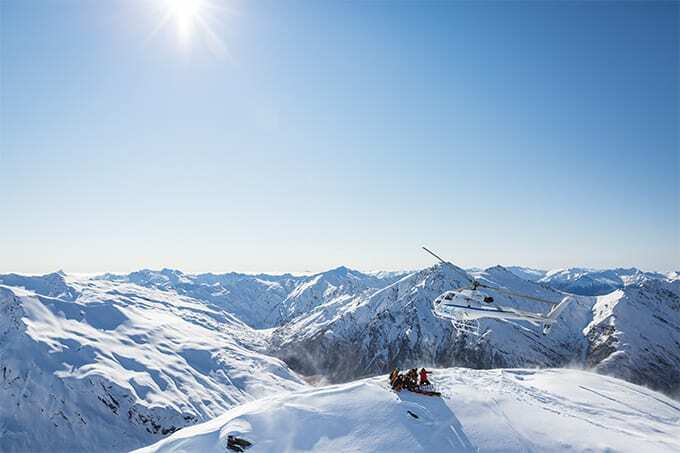 One of the common misconceptions about heliskiing is that it is for experts only, but the variety of terrain accessed by Southern Lakes Heli means you only need to be an intermediate skier or boarder. Powder to the people. The variety of terrain means there is something for everyone. The day itself is pretty simple. On the day you have booked you get a 7.45am weather call to say it’s all go or not. If it is, you will get a pick-up time from your accommodation which is generally between 8am to 9am. That’s when the excitement and anticipation kick in. 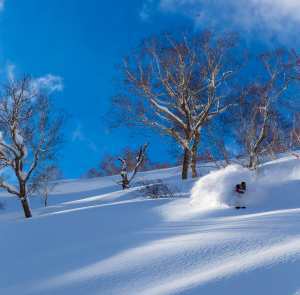 Let’s face it, heli-skiing is the pinnacle for any skier or snowboarder, and even for those who have experienced heli skiing a number of times, the thrill never gets old. After you are picked up in either Wanaka or Queenstown, you are dropped off at the staging area, the helicopter departure point. Here you meet your guide who will brief you on safety on the mountain and around the helicopter, give you an avalanche transceiver and show you how to use it. Safety is a priority and all of Southern Lakes Guides, pilots and staff are current in emergency procedures and are well prepared with equipment and knowledge. 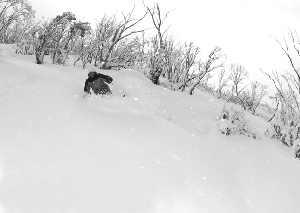 This year’s storm have been dropping 20-40cms in the Southern Alps backcountry, making for some awesome days. One of the attractions about heli skiing is you don’t have to hike, so the fitness level required is the same as what you’d need for a day’s skiing in resorts. 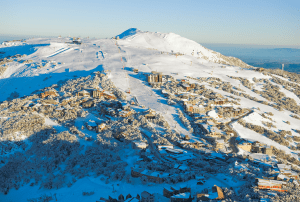 However, if you haven’t been skiing for a while it is a good idea to get your ski legs happening through a few days skiing or riding in resort. Once the briefing is completed it is into the chopper for the scenic flight up into the Southern Alps. 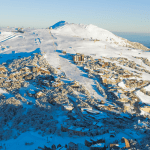 The helicopter ride is amazing, the views from the chopper spectacular over the southern lakes and seemingly endless mountain ranges of the Alps, before landing at the day’s chosen zone. And don’t worry about the landing. You wont have to jump out of the heli on to a narrow precipice with a cliff on one side and a 45-degree pitch on the other. The heli lands on the snow at the top of a run where there is plenty of space, so it is easy to safely disembark onto the snow without any stress. The guide points out the terrain, explains where to go and what to do and then leads you on the first run, observing the skiers/boarders and making sure the terrain is appropriate for people’s abilities. The guide is also there to make sure you have one of the best days skiing or snowboarding of your life, so at the top, think about your run, let them know your chosen line and what you want to do. 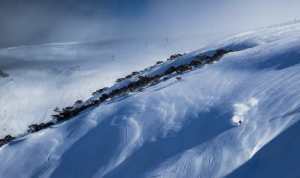 The variety of terrain means there are options for intermediates as well as advanced to expert riders and the guide will point out the different lines that suit different abilities. It certainly looks like it would be one of your best days on snow. The runs are usually 600-1000 metres vertical and you’ll get a few in before lunch. After enjoying a hot or cold gourmet lunch overlooking the peaks it is back in the chopper for a few more runs in the afternoon. While many people book with friends, individual guests are also welcome and as everyone is a like-minded skier or boarder out for a day of adventure, you’ll have new friends by the end of the day. It is a pretty full day and you’ll be back at your accommodation between 4 and 6pm. When they say the powder is “light and dry”, it is light and dry. Ask anyone who has been heli-skiing and they’ll tell you the only problem is, you want to go again … and again. 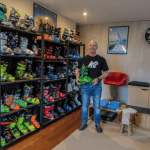 For Jason Shutt, his day skiing Mount Albert with Southern Lakes Heliski was one of the most memorable days on snow he has ever had and something he plans to do each year.